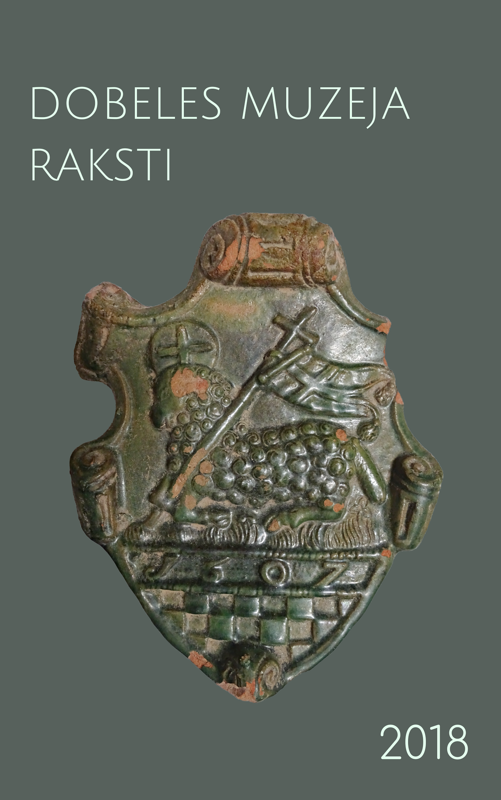 Yearbook of the Dobele museum. 2018. Digital edition. The Lejascīskas Neolithic Settlement............................................................................ 5. – 22. lpp. Dobele Castle in Paintings and Photographs of the 18th-20th Century...................... 23. – 45. lpp. Decorations of Stove Tiles in the Collection of Dobele Museum of Local History.........46. - 77. lpp. August Bielenstein's Contribution in the Field of Archaeology....................................78. - 115. lpp. The Autobiography of August Bielenstein “A Happy Life”..........................................116. - 137. lpp. The History of the Archaeological Research of the Dobele Castle................................138. - 159. lpp. This publication has been created with the support of Dobele Municipality.